At Precision Powerwashing, we’ve dedicated the last seven years to restoring the look of homes throughout Central New Jersey to pristine condition. And not just homes, but roofs, decks, sidewalks and walkways, patios, awnings and outdoor furniture. We use only the best, most professional equipment on the market (you won’t find them in stores), and a variety of environmentally safe, biodegradable cleaning solutions. 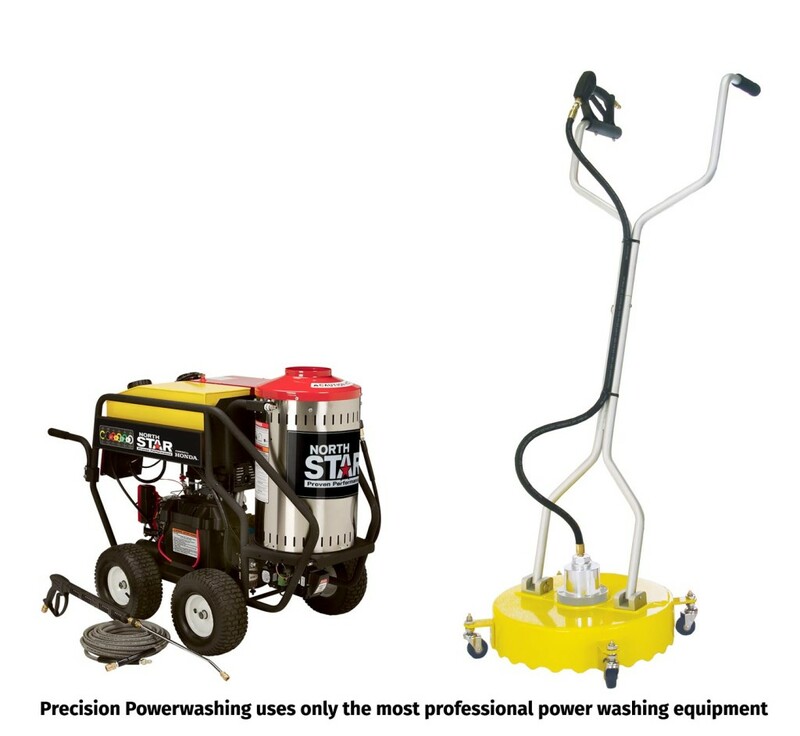 And though most people associate power washing with extremely high-pressure, Precision Powerwashing uses only the new “soft wash” cleaning technique on homes, eliminating any risk of damage. We’re proud of the excellent reputation we’ve earned as Central New Jersey’s most trusted power washing company, and we encourage you to read our customer testimonials to what other homeowners in the area have said about our services.